See something or say something: Los Angeles, originally uploaded by Eric Fischer. 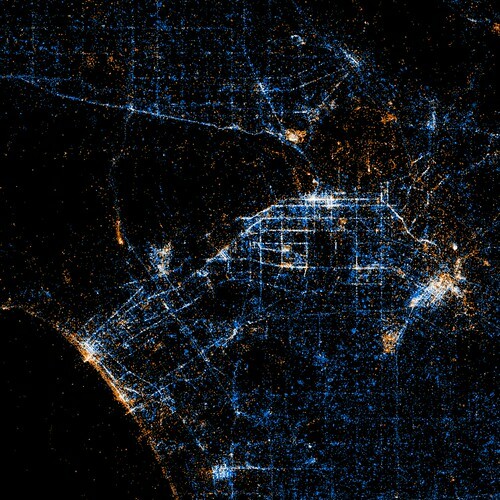 Eric Fischer has posted this fascinating map of Los Angeles showing the intensity of Twitter and Flickr posts in the City of Angels. ← New Short Story: Incident at Gelson’s.